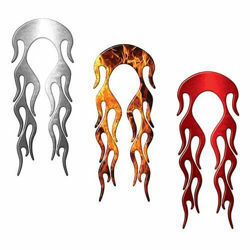 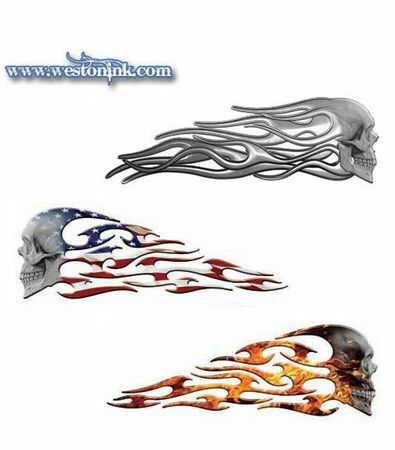 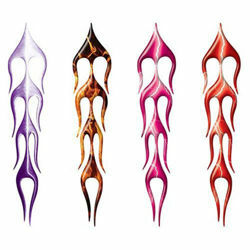 Weston Ink pushes the limits of vinyl graphics with our original flame designs. 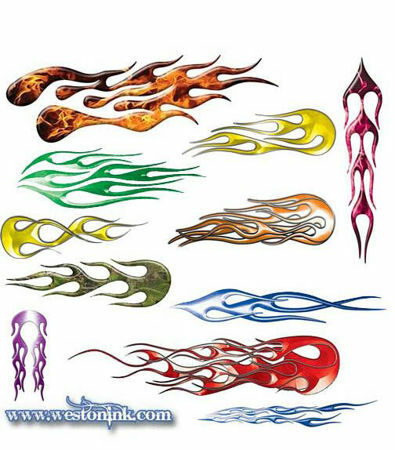 Our flames are highly detailed in full color. 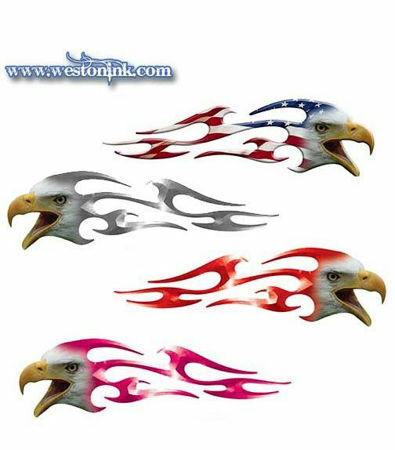 Die cut right to the edge of the graphic leaving no white or clear showing around the edges like some of the cheap items you find in a automotive parts stores and many of our competitors online. 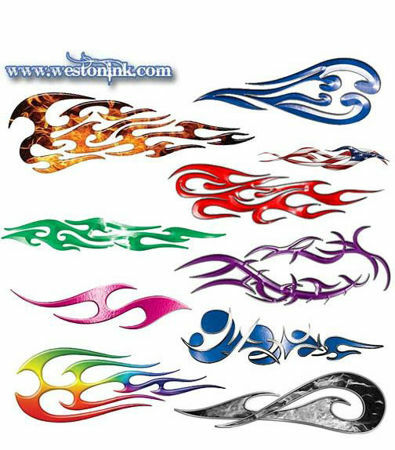 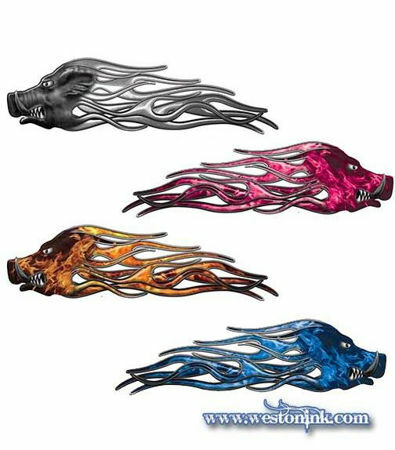 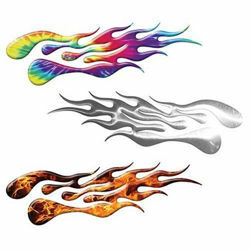 With our high quality manfacturing process and intricate designs our flame decals look as close to an airbrushed professional paint job as you can get without paying the high price. 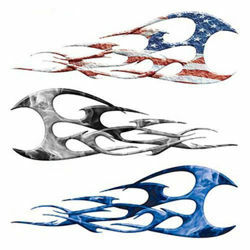 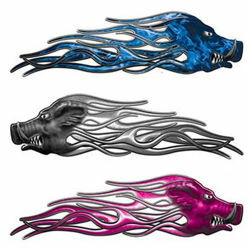 Motorcycle Tanks, Fenders, Hard Saddle Bags, Cars, Trucks, Boats, the list goes on for applications for these graphics. 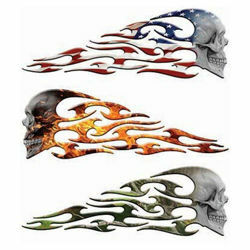 We carry many sizes and designs that match up as well to make a complete kit for every need.